uAvionix, designer and manufacturer of communications, navigation, and surveillance (CNS) equipment for unmanned and manned aircraft, has announced it is testing its prototype of a command and non-payload control (CNPC) radio for unmanned aircraft systems (UAS) and urban air mobility vehicles. 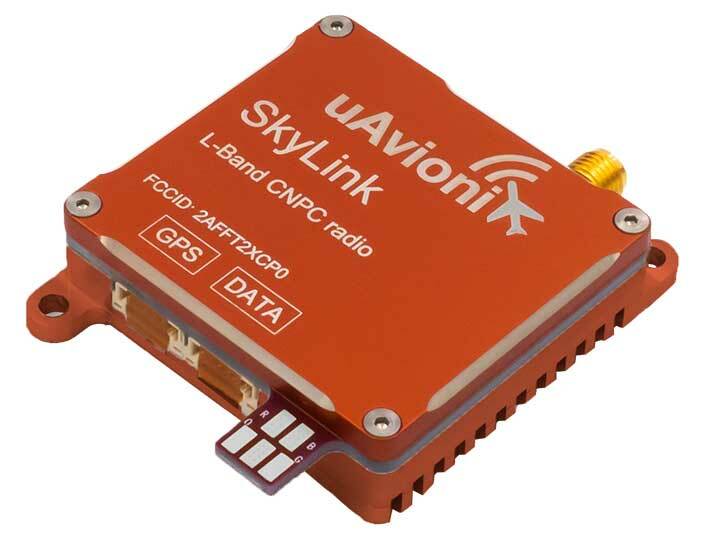 SkyLink is an L-band frequency-modulated CNPC radio ultimately intended for point-to-point or networked Beyond Visual Line of Sight (BVLOS) UAS operations. uAvionix has focused on minimizing size, weight, and power consumption (SWaP) while maximizing range and spectrum efficiency. The current 50-gram 10-Watt prototype is testing successfully at ranges exceeding 40 miles at low altitude. uAvionix is testing under an experimental transmit license and approval from the Federal Communications Commission (FCC) and Federal Aviation Administration (FAA) respectively. Prior to founding uAvionix, CEO Paul Beard invented and brought to market the Spektrum digital spread spectrum radio control (RC) technology which moved the control link from 27 and 72 MHz bands to a high-bandwidth 2.4-GHz ISM band. Visit uAvionix at AUVSI Xponential 2019 at booth 4421. @c_rizos: Every week we hear about Russia’s jamming & spoofing of GPS (GNSS?) signals, https://t.co/UbeJCyAQYG. But are they the only ones? Doubt it.